Elephant Ecosystems – An Earth Day Special! Rob Nelson of Untamed Science helped us realize this long-time goal to create little animated eco-messages about elephants. Here’s the first installment! Or: Why do we need large wild animals? Teachers, students and would-be conservationists: you can download this video and translate it into your own language! Be sure to let us know so we can upload it to Trunks & Leaves’ channel on YouTube. Get the animation and script here. You’ll also find links to the scientific papers that inspired this video. Related post: Who misses the mega-fauna, if they dissappear? Who misses the mega-fauna, if they disappear? 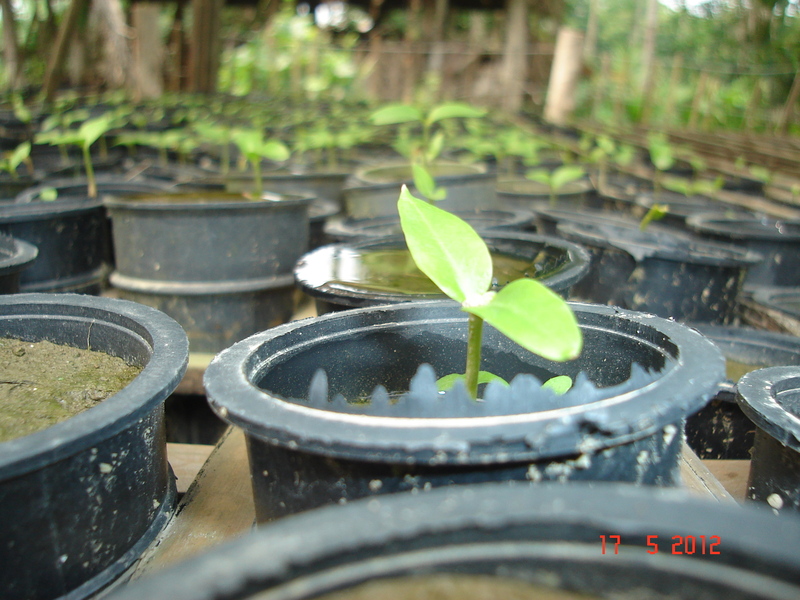 A seedling germinates from elephant dung. All around the planet, the world’s largest animal species are becoming very rare. Whether we speak of giant tortoises, large wild cows like gaur, rhinoceroses, hippos, tigers, or whales, local extinction or extreme reductions in range size and population are the norm for species that are too big or too slow-reproducing to withstand human conflict or the human hunter. Most people would probably agree that it is a shame to lose these species. But what about functionally? Are the largest animals critical to any ecological processes? When there are declines in honey bee populations, human agriculture suffers; if nitrogen fixing plants are absent from a forest, other plant species may be affected. When the largest animal species go missing, do any other species miss them? Aside from a few cases, we don’t know! This is an active area of research.